Mastermind of relaxation. 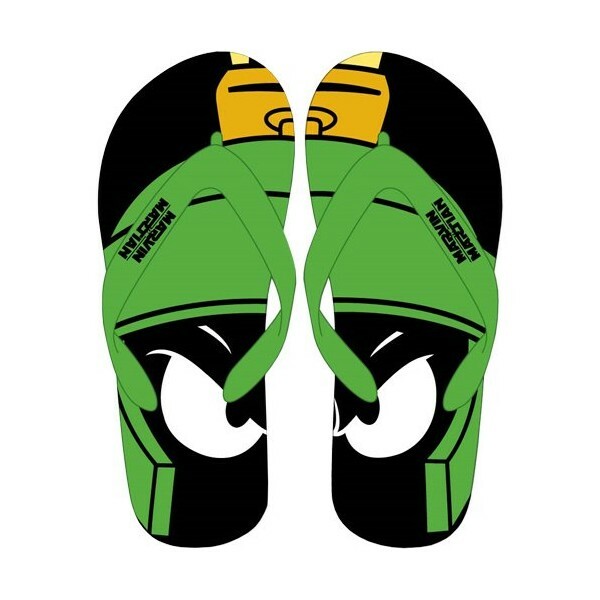 Marvin the Martian brings his world conquering style to these men's flip-flops. They feature a giant graphic of Marvin spread across both flip-flops. 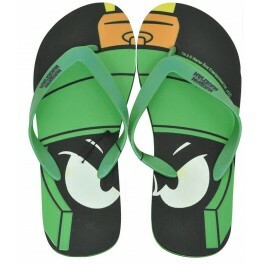 In black/green. We only have XL, men's size 13-14, left in stock.